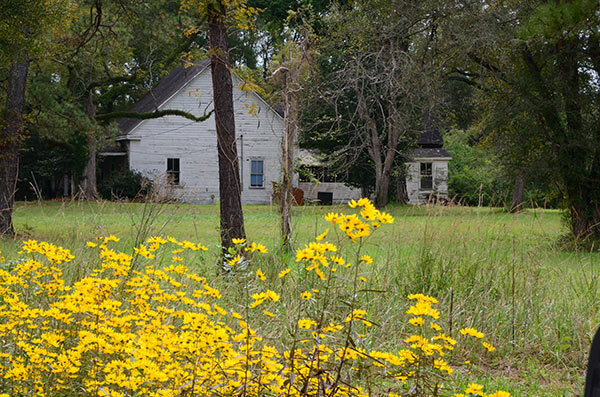 Bordered on three sides by rivers and the Atlantic Ocean, travelers to Horry County historically depended on ferries to reach their destination. 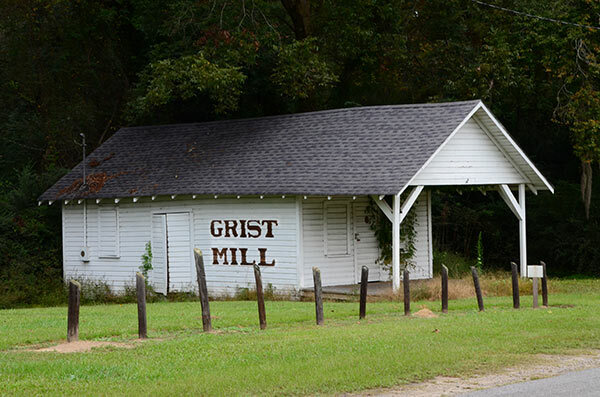 One of the region's most important ferry-crossings was established in the late 18th century at Galivants Ferry where travelers crossed the Little Pee Dee River. 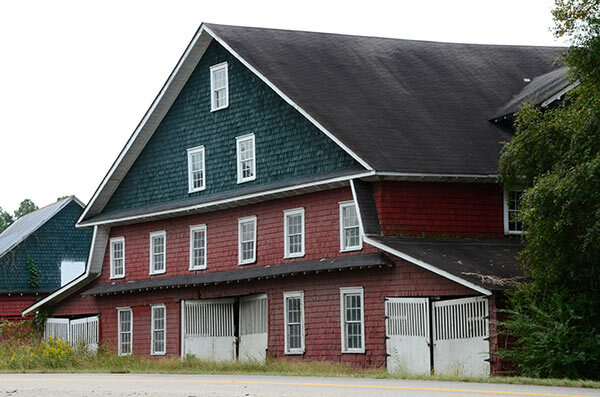 The community is named for Richard Gallevan, an earlier resident and commercial ferryman. 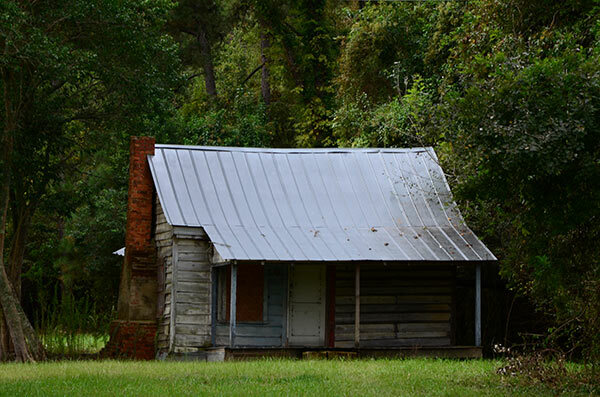 Long before the auto age, Galivants Ferry witnessed a steady passage of ox carts, mule-drawn wagons, horse-drawn buggies, cattle herds, fancy buggies and folks traveling by foot, or what was called "shanks' mare" in days gone by. A wooden bridge replaced the ferry in the 19th century and in the 1930s the state erected concrete bridges over Horry County's major waterways, including this one. 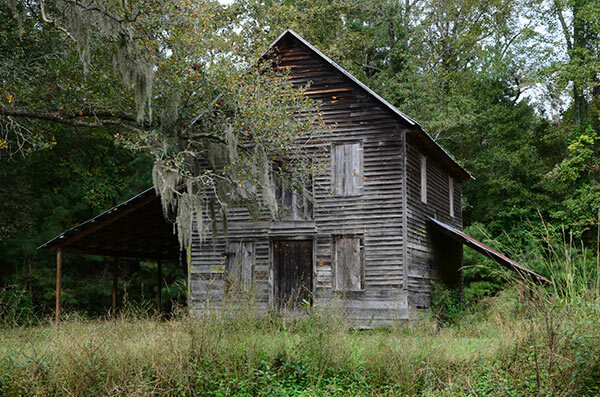 Members of the Holliday family were large landowners and political leaders in the Galivants Ferry community, engaging in timbering, naval stores and farming - including early production of tobacco. 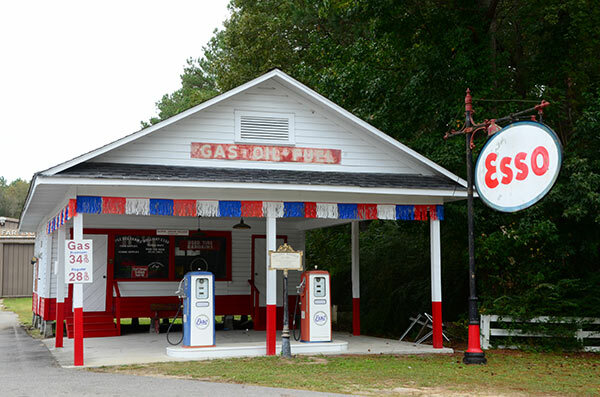 In 1865, Joseph William Holliday opened a riverside mercantile store here, and in 1921, one of the region's earliest "gas stations" began servicing automobiles on rural Horry County's challenging roads. 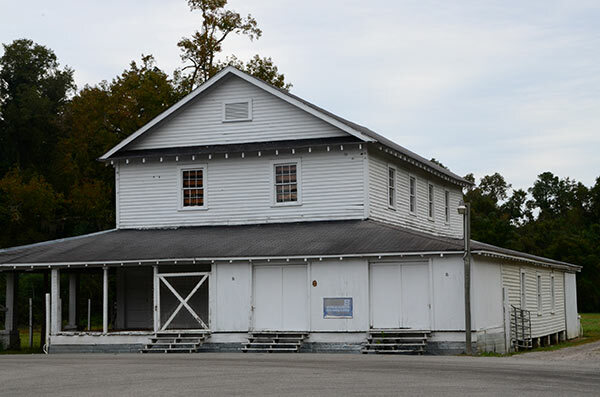 Today, Galivants Ferry is the site of a collection of historic 19th and early 20th century structures, including a three-story Dutch Colonial barn from the 1930s, a small grist mill, and a general store and gas station on the riverside location of their predecessors. 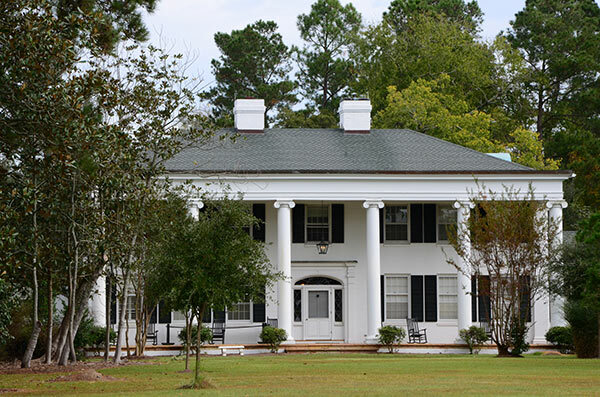 Adjacent to the general store is the handsome George W. Holliday House, built in 1943, and noted for its Greek Revival design and Ionic columns. 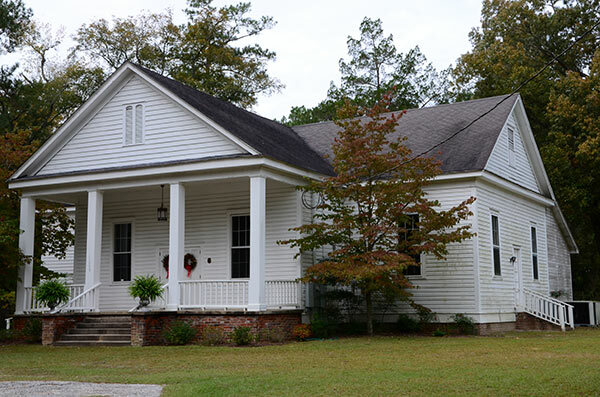 Nearby is Galivants Ferry Baptist Church, built in 1885 to replace a brush arbor worship site for the community's growing Baptist population. 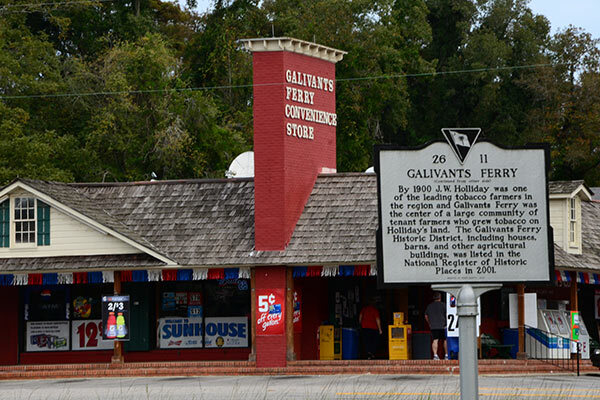 A driving tour map of Galivants Ferry's historic section is available on the Horry County Board of Architectural Review's website at the website link above. 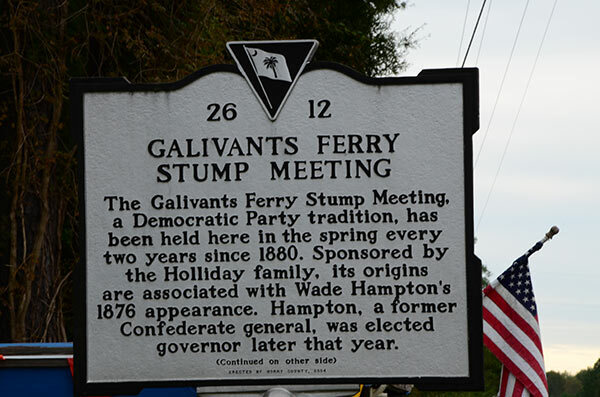 Galivants Ferry is perhaps best known for the Galivants Ferry Stump Meeting, a traditional political event for area Democrats named for the old-time belief that politicians often addressed crowds from atop a stump. 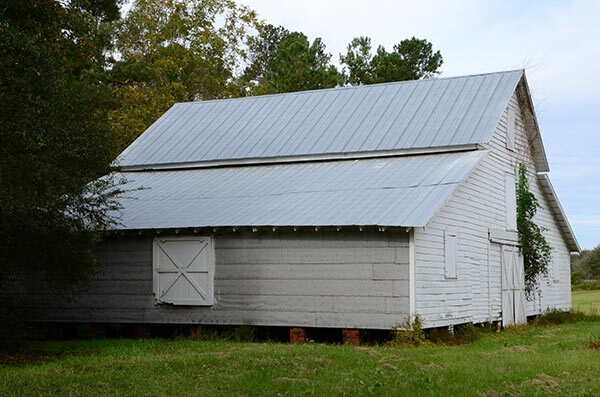 The event originated with South Carolina's 1876 governor's race, when Democrats rallied here to help elect former Confederate General Wade Hampton and end the Reconstruction Era in the Palmetto State.